How Would You Like a Tall Glass of Iced GMOs, Pesticides, and Fractal Chemicals? Here are 4 alternatives. I’ve been reading some articles lately that I find disturbing, and so should you. I, along with millions of others, am a big tea drinker. Nothing is more comforting than a hot cup of tea, or as refreshing on a hot summer’s day as a tall iced glass of fresh brewed tea. My favorites were Celestial Seasonings and Yogi. So you can imagine how upset I was when I learned my beloved Celestial Seasonings tea not only contained pesticides but 91% of their tea has pesticide residues exceeding the U.S. limits.But that’s only the tip of this toxic iceberg. Some companies add artificial flavors. One such company is Teavana. Not only have 100% of its tea brands tested positive for pesticides they add “flavors” produced by fractional distillation and manipulation of various chemicals like crude oil or coal-tar. Add to that modified corn starch and soy lecithin (additives likely made from genetically engineered corn and soy.) Tea bags are not immune from disturbing practices. Those pretty pyramid-shaped ones can be made of a plastic substance and paper ones laced with pesticides and known carcinogens. Imagine what happens when all this is met with boiling water. We’ve innocently been consuming this toxic brew. Tea, the most natural, wholesome, and medicinal of crops turns out to be as dirty and toxic as everything else. Depressing as this is don’t give up hope. Yes there is hope. There are organic teas produced by ethical companies. Here are 4 top, easy to find, brands to look for in your local market. Traditional Medicinals are USDA Certified Organic, Fair Trade Certified, and Non GMO Project Certified. They contain no pesticides, GMOs, artificial or “natural” flavors, and there are no toxins in their packaging. Here is the link to their sustainable sourcing page. Choice Organic Tea is USDA Certified Organic, Quality Assurance International Certified, and a member of both the Organic Trade Association and the Organic Consumers Association. 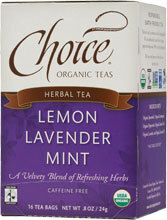 Their tea contains no pesticides, GMOs, artificial or “natural” flavors. 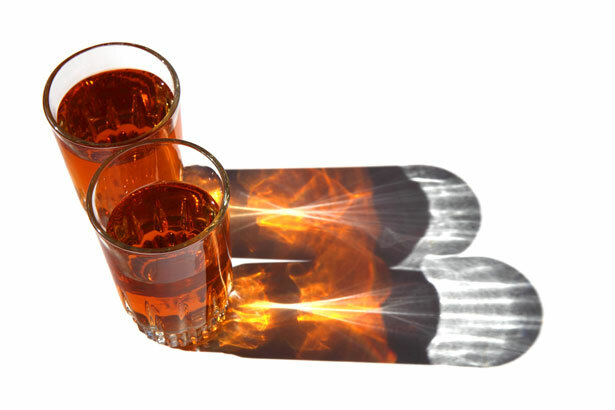 They also have a page on their website called “Hot Ideas for Cool Summer Drinks” which lists their teas that do best iced and several good looking recipes for tea based summer drinks. Choice’s credentials are on this page of their website. 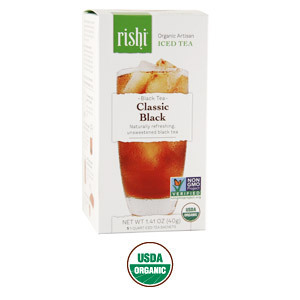 Rishi Tea is USDA Certified Organic, certified by Quality Assurance International and has a Certificate of Achievement through AIB International – a food safety certifier. They contain no pesticides, GMOs, artificial or “natural” flavors, and there are no toxins in their packaging. This is the link to their credentials. 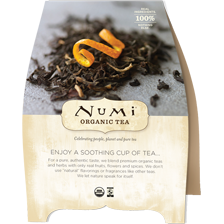 Numi is certified USDA Organic, Non GMO Project Certified, and display the Verified Fair Labor seal. They contain no pesticides, GMOs, artificial or “natural” flavors, and there are no toxins in their packaging. They offer a Beverage Recipe Guide that is available as a booklet or downloadable PDF. I know there are others out there who have I missed? Next Post Have a Little Summertime Fun with Watermelon.